TILTPIXEL’s studio is a careful balance of seasoned leaders and emerging artists…those with many years in the industry and others just starting out. 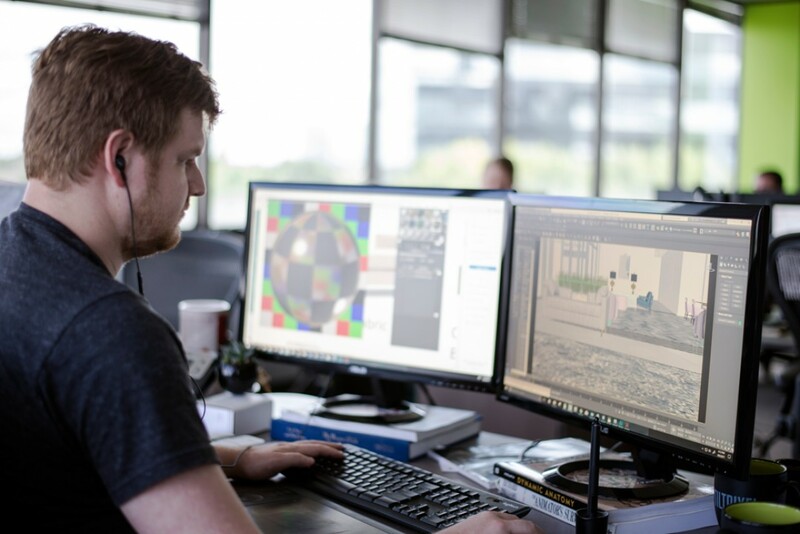 As we interact with graduates preparing for the workforce or students seeking internships, as we meet young artists and architects honing their skills, we get asked the same question again and again: How did you grow your career in arch viz? The answer is complex, and every professional has a different story. There are lessons learned, however, that can apply to anyone just starting out. In reflecting upon our individual paths, we share the following beliefs when it comes to career progression in visualization. It is common in arch viz to seemingly “fall into it.” Many artists have a passion for 3D and start in architecture while pining for films or gaming. Those that make it in arch viz often need an early gut check. Do you have a passion for the built environment? Are you intrigued by real estate? 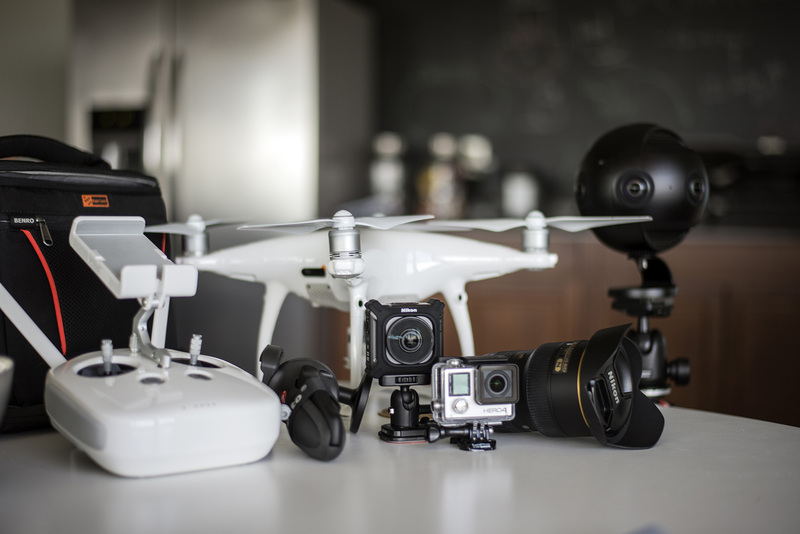 Do you love the mix of art and technology that defines the career? If an artist is simply drawn to 3D, it is wise to explore options early on. The world of movies, for example, may be glamorous, but architecture has its own unique beauty. Focusing your direction can place you on a positive trajectory that will ultimately define your path. We routinely turn away job applicants who are experts in software we don’t use. Becoming an expert in Maya will not get you a job with a company that doesn’t use Maya – and the same can be said with any program. Ask around, do some research. Identify the studios you admire and determine which programs they use. Then learn those, inside and out. Don’t mess with the rest. It should come as no surprise, but classes work. They are there for a reason. Whether it is a free tutorial, a lecture at a conference or an actual semester-long course, learning from those that know the art and science of arch viz is invaluable. A good instructor will convey the nuances of software and highlight the artistic details that make an image shine. He or she will provide recommendations and best practices that can elevate your art and inform your mastery of technology. Similarly, online forums are an everyday tool that can lead to quick answers and cut problem-solving time. Having trouble with an image? Ask for help. You will likely get more information than you initially sought, and your art will benefit. Put in Time. Then Put in More Time. There are no shortcuts. Practice is the sure path to success, and practice takes time. Spend nights, spend weekends. Everyone who is successful in arch viz will recount stories of grueling overnighters, just trying to perfect the image. A lack of client work is no excuse. Create a passion project and spend the time. Whether you are a student just starting out or a new artist with a paying job, long hours are a necessity if you are serious about your craft. The World is Your Reference. The best artists use the power of observation, and their subject matter is the environment that surrounds them. How do windows illuminate an interior at sunrise? Which materials reflect or absorb light? What effects are magnified in a photograph? If a career in visualization is in your future, you must become obsessed with the built world. What is trending in interior design? What aesthetic is promoted by leading architects? When tasked with an arch viz project, the artist must convey an understanding of design and a mastery of photorealistic observation. Tools such as Pinterest are useful in gathering reference images. Artistic inspiration is all around – it is up to the 3D artist to notice it. Understand the Power of the Portfolio. An underwhelming portfolio can cost you an interview. Projects that are irrelevant or just plain weak will not benefit you. Three or four fantastic images will. Showcase your capabilities. Do not throw in every minor experiment in hopes that breadth or depth will help you. We look for excellence. So do our competitors. Spend your free time creating projects that benefit your career prospects. Think your portfolio is solid? It’s not. Ask for feedback. Seek opportunities to pester senior artists for their candid reaction and take copious notes. Criticism may be the single largest driver of meaningful improvement. Pay attention, and it may gain you a foothold in the job market. Sloppy cover letters and incomplete resumes are often a death knell for job applicants. How can we trust you to communicate with clients if you can’t communicate with us? This translates to your portfolio as well. Imagery is elevated by careful attention to detail. Small touches added to an interior space can showcase your artistry and allow your portfolio to rise above the rest. In addition, many studios challenge job applicants with a test project. This is equivalent to a take-home exam, and it allows a company to gauge an applicant’s ability to handle a real-world scenario. In short, don’t mess this up. Forgetting elements requested by the studio or returning work that is just average will negate your opportunity. Use this project as a chance to shine. Put your heart and energy into creating something outstanding, and arch viz firms will take notice. Learn the Business – Not Just the Art. Our practice goes beyond architecture to the business of real estate, and the best arch viz professionals understand both. Visualization is a tool that serves a specific purpose for the end client, and deliverables must be tailored to this purpose. The needs of a commercial broker for a high-end mixed use development are quite different than the needs of an residential developer, or those of an architect in the design phase of a high-rise. Talented arch viz artists routinely balance the demands of their stakeholders to produce tools that sell real estate, in all its forms. Young artists in the early stages of their careers would be wise to subscribe to real estate publications. Learning the basic terminology of architecture is also helpful. By increasing your awareness of the industry, you will be more adept at handling requests from a diverse clientele. No one will see you if you are not seen. Leave the confines of your home office or university classroom and make a concerted effort to connect with artists, real estate professionals, architects and designers. Get to know those in the industry. Gather advise, learn who is hiring, understand the players. A connection made today could pay off in five years. But it will still pay off. Participate in forums, speak up in class, attend career fairs and happy hours. Go to conferences. Make yourself known. The best career advice won’t mitigate one fact. An artist’s path is rarely, if ever, clearly mapped. Be willing to settle for a lesser title, a lower salary, even a completely different role. Pursue 3D on weekends and at night if your job during the workday is not that. Hone your skills and create your portfolio on your own time, and work hard for your current employer. No one will hire an underachiever, and a strong reference is critical no matter what the discipline. In school, seek internships. Be willing to work for minimum pay if it offers an opportunity with an admired firm. Be flexible, be willing. Employers often bemoan millennials for their lofty expectations. However, an unpaid internship at a small architecture firm may open the path to one day starting a visualization practice or leading a multidisciplinary team. Eager artists will make their success happen. They don’t wait for things to fall neatly into place. Risks are Necessary. So are Setbacks. Our industry is increasingly saturated, while the need for visualization is growing exponentially. Technology is changing, and firms are racing to keep pace. As an artist, flexibility and guts are a powerful combination. You must be willing to share your work and accept feedback; you will need to take artistic liberties and respond to harsh criticism. Your career may include a layoff or diminished pay. You may rely on contract work or take a job unrelated to your passion. Continue to network, and continue to practice. Observe the built environment. Study photography. Learn the business of real estate and the art of design. Monitor trends; draw inspiration from imagery. The best artists push their way to success. Be visible and bold, and the firms will respond.